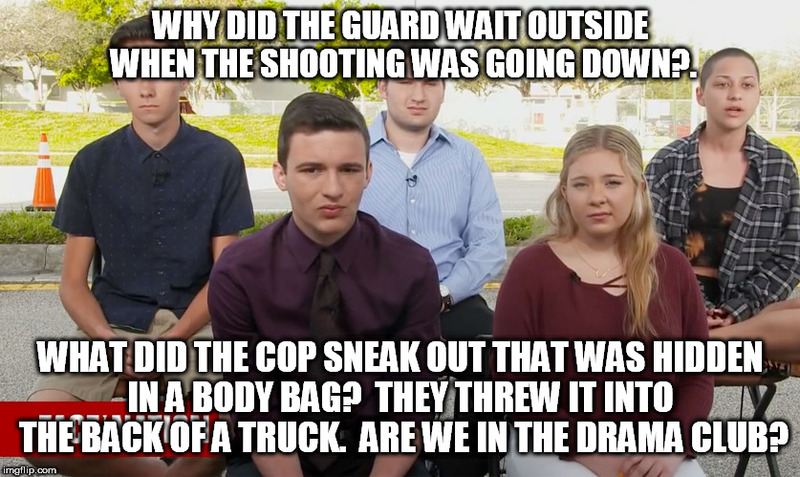 WHY DID THE GUARD WAIT OUTSIDE WHEN THE SHOOTING WAS GOING DOWN?. WHAT DID THE COP SNEAK OUT THAT WAS HIDDEN IN A BODY BAG? THEY THREW IT INTO THE BACK OF A TRUCK. ARE WE IN THE DRAMA CLUB?